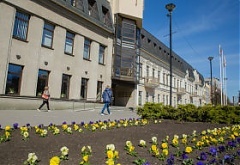 Lithuania's Special Investigation Service (SIS) has brought suspicions of abuse of office against Panevezys District Mayor Povilas Zagunis of the ruling Lithuanian Farmers and Greens Union (LFGU) as part of a probe into the local authority's public procurement activities, reports LETGA/BNS. he European Commission said in its annual analysis published on Wednesday that while Estonia has one of the best performing labor markets in the European Union, but its declining working-age population and the continuing increase of labor costs per worker might reduce the country's competitive ability, reports LETA/BNS. Estonian Minister of Finance Sven Sester has proposed to the government to plan strategic investments that increase Estonia's competitive ability and defense ability in the amount of 315 mln euros in 2018-2020. The listed Finnish meat group HKScan is to increase exports from its Rakvere meatpacking factory in northern Estonia to New Zealand to 100 tons a month. The Latvian Corruption Prevention Bureau (KNAB) reported that the so-called oligarch case had been closed because of the lack of constituent elements of a criminal offense, wirites LETA. Amid the discussions in Lithuania on ways to halt the construction of the Astravyets Nuclear Power Plant (INPP) in Belarus, Lithuania's Energy Minister Zygimantas Vaiciunas is addressing the issue in Latvia on Wednesday, reports LETA/BNS.